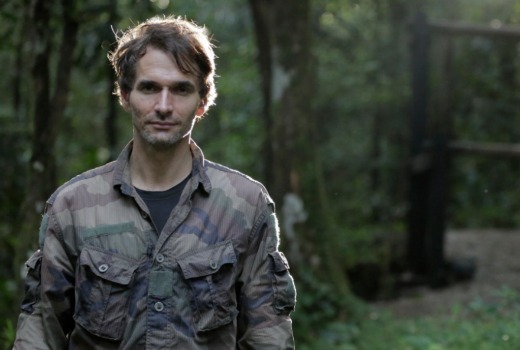 TEN’s new factual adventure series Todd Sampson’s BodyHack will screen on Tuesdays from early October. In this exciting new series, Todd sets out on an epic adventure to try to unlock the secrets of some of the world’s most extraordinary people. The award-winning documentary maker faces myriad challenges, including living as a hunter-gatherer in Tanzania, stepping into the ring as a professional MMA Cage Fighter, and confronting his fear of open water to free dive and stride across the sea floor in Borneo. Todd also takes on one of the world’s most dangerous jobs as a Bollywood stuntman, overcomes injury to train with the notorious French Foreign Legion deep in the Amazon jungle, and works as a Himalayan Sherpa at extreme altitude. In true Todd Sampson style, he will not just observe them, he will hack into their world and try to become them. By living in their world, Todd learns about the nature of endurance, fear, resilience, pain, diet and risk-taking. Todd Sampson’s BodyHack celebrates our incredible human potential, with CGI unpacking the science and taking viewers deep into the mysteries of the human body. Todd demonstrates that with right knowledge, skills and mindset, we can adapt to almost anything. Tuesday, 4 October at 9.00pm on TEN.